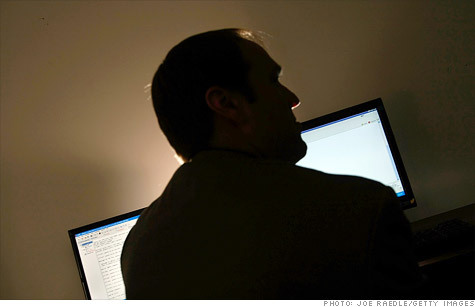 The FBI has arrested 24 cybercriminals part of an international law enforcement operation aiming to arrest and prosecute the users of a sting operation called “Carder Profit”. The suspects, collared after a two-year investigation dubbed "Operation Card Shop," allegedly stole credit card and banking data and exchanged it with each other online. “We put a major dent in cybercrime,” she said. “This is an unprecedented operation.”In the sting, which they called Operation Card Shop, undercover investigators created an online bazaar to catch buyers and sellers of credit card data and other private financial information. They also aimed at people who clone and produce the physical credit cards that are then used to buy merchandise. Some CarderProfit users apparently learned of the involvement of the feds months ago. A Twitter user with the name @JoshTheGod wrote that “has informants and most likly to be believed as a Federal Sting,” back in April. Many of the 11 individuals arrested in the United States offered specialized skills and products on the sting site. One, who used the screen name xVisceral, offered remote access tools known as RATS that would spy on computers and Web cameras; the programs sold for $50 a copy. Federal officials maintained that the operation prevented potential losses of more than $200 million. Credit card providers were notified of more than 400,000 compromised credit and debit cards, the officials said. "As the cyber threat grows more international, the response must be increasingly global and forceful," Manhattan U.S. Attorney Preet Bharara said.Bharara called the crackdown "largest coordinated international law enforcement action in history" directed criminals who use the Internet to traffic in stolen credit cards and bank accounts. Yet another cybercrime-friendly community was targeted in the operation, although the press release is not discussing the matter. The community in question, Fraud.su, which currently returns an index page placed there by U.S law enforcement agencies.The operation appears to be widespread, as the web site of the UGNazi group (UGNAZI.com) is also defaced by U.S law enforcement agencies. US officials said the operation prevented losses of $205m (£131m) from debit and credit cards.